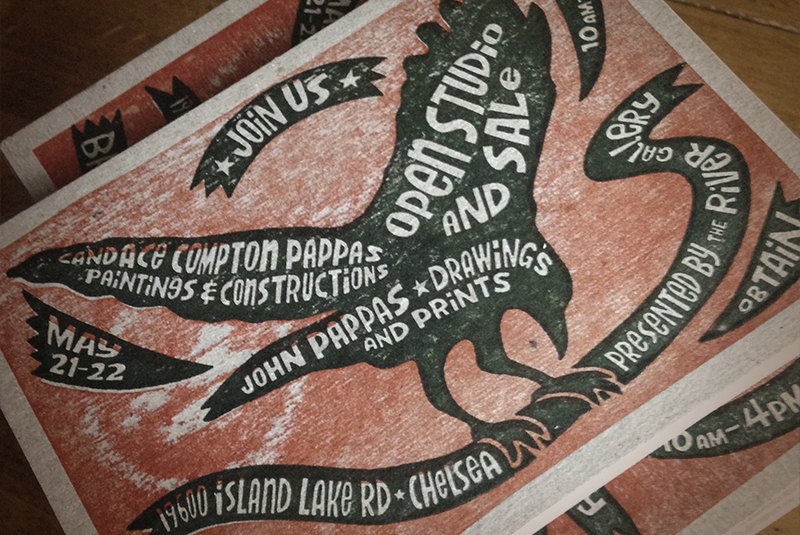 On May 21 and 22 we will be opening our home for a studio sale featuring the paintings and constructions of Candace Compton Pappas as well as my drawings and prints. Work will be displayed in Candace's studio as well as throughout our home. Hours are 10 a.m. through 4 p.m.